HCM City (VNA) – Saigon Tex & Saigon Fabric 2019 kicked off in Ho Chi Minh City on April 10. The event attracted over 1,000 suppliers from 24 countries and territories around the world, aiming to enable domestic and foreign businesses in different fields to seek cooperation opportunities, promote their brands, and expand markets. 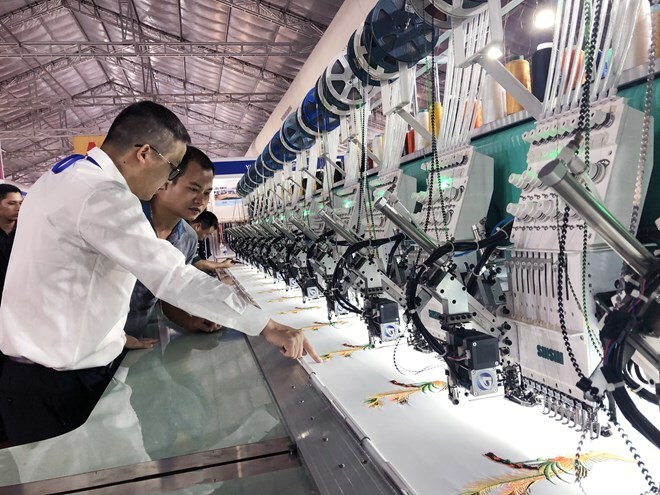 Chairman of the Vietnam Textile and Apparel Association (VITAS) Vu Duc Giang said this year’s exhibition will help businesses access more information and new cutting edge technologies to make direct investment in raw materials, thus meeting the needs of customers at home and abroad. It also enables businesses to increase the added value of products, contributing to the development of the textile industry in Vietnam, he said. Le Tien Truong, General Director of the Vietnam National Textile and Garment Group (Vinatex), said the textile industry has been improving the quality of its human resources and equipment over the past time. However, it should push ahead with reforms to deal with more global challenges, he said, suggesting that businesses create new tools to increase competition, including technology and productivity. Enhancing cooperation is necessary to integrate effectively in the world, he added.